Australian gamblers will find a great experience when they play pokies at the Lucky 247 casino. The site has a number of exciting gambling options and they do offer some nice bonuses to help incentive play. In addition to this, it’s a site that is regulated by the Malta Gaming Authority and it’s eCOGRA certified. With this level of oversight, you know that Lucky 247 follows the strictest of standards. The Lucky 247 casino definitely goes out of its way to provide gamblers with a good onsite experience, and depending on the gaming experience that you are looking for, it could be the perfect site for your gambling action. Continue reading this Lucky 247 review to learn more. 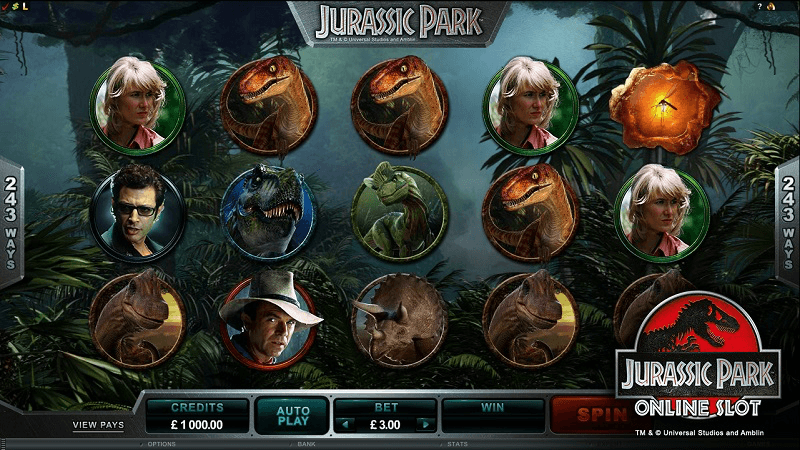 It is not the deepest selection out there, but it does have something for every slots player. You have machines that operate on three or five reels, a variety of themes, and progressive jackpots that can reach into the millions. At Lucky 247, it seems that the idea is to make it quick and easy for people to access their gambling options and to eliminate many of the hassles that can make a site inconvenient. 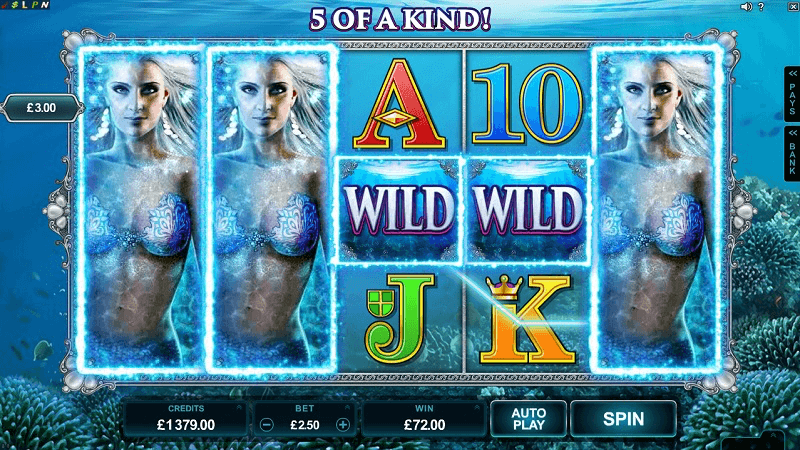 In this goal, the operators of the casino offer a nice range of options for deposits and withdrawals. For banking with your credit card, you can use Mastercard and Visa. The site also takes debit cards that are supported by Visa, Mastercard and Maestro. For additional options, you can use eChecks, Instadebit and the Paysafe card. Customers can also benefit from the convenience of banking with eWallet services from Neteller and Skrill, and they do accept bank transfers through services like POLi. All in all, this is a pretty good selection of banking options. The payments are made securely and the transactions go through at a pretty good speed. As an additional point, the site also does a good job allowing quick withdrawals. This is an international site that does offer gaming in a number of countries, but it does not have the language support to back it up. English is the only language for gaming at the Lucky 247 casino. 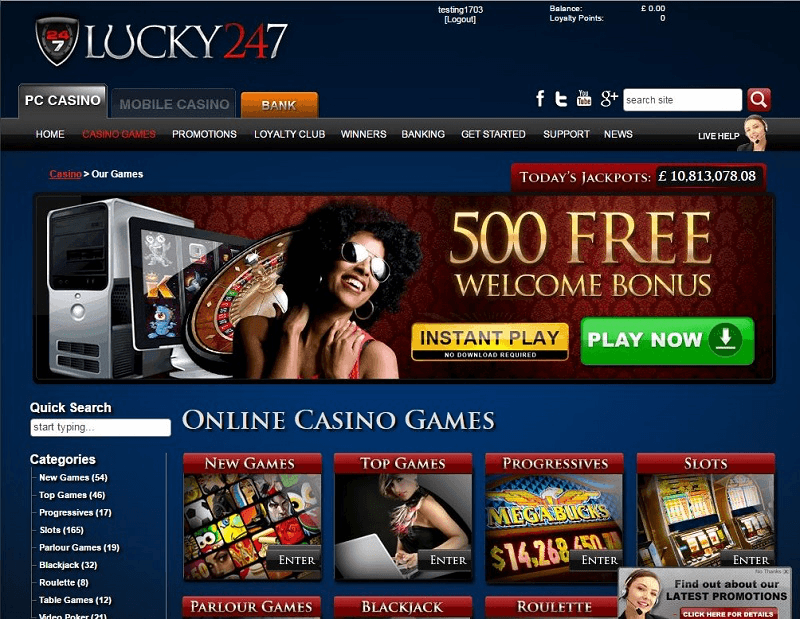 At Lucky 247, the site exclusively uses games that are developed by Microgaming. 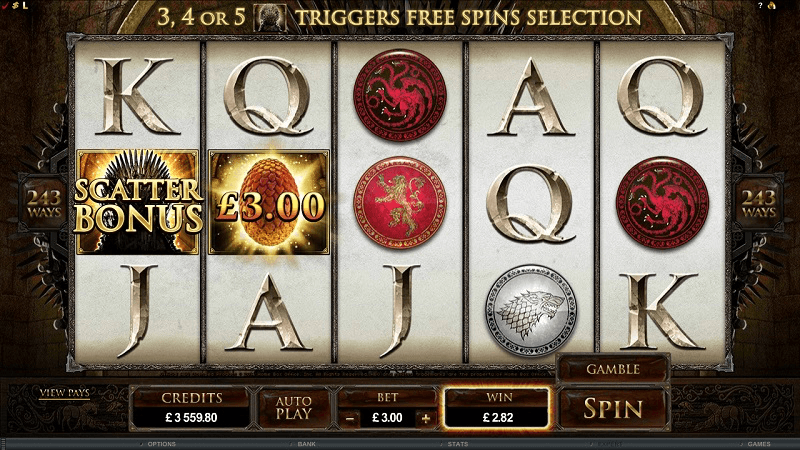 Microgaming is one of the top developers in the industry and there are a number of great games. In visiting the site, you will find that it looks good and the games do run smoothly. One point to make is that Lucky 247 is an instant play casino, and this does help to explain the lower selection of games. Some players probably will prefer sites that offer a downloadable casino package. This tends to offer the better experience, and the downloads can support more games. The lack of a download for the PC might be an issue for some gamblers, but this is one of the best casinos for instant play. Since that is the primary way to play, the browser-based option has received more attention, and it does show. When a casino is licensed by a legitimate authority like the MGA and certified by an organisation like eCOGRA, you already know that they are fair and that the site operates in an above the board fashion. However, it can be good to check the payout percentages that are on offer from different casinos. Being an eCOGRA certified casino, you can find independent auditing reports that reflect the payout percentages. In this regard, Lucky 247 does well. The overall payout percentage for Lucky 247 is 97.65%, and when you look exclusively at slots, you see a payout percentage of 97.61%. The casino support at Lucky 247 is some of the best that you will find in the online gambling industry. The site has a nice FAQ page that can help to walk the player through a number of the more common issues that they may have, and the site offers a good number of options for getting in touch with members of the support team. To get support at Lucky 247, you can send an email, call them on the phone, use the live chat, or contact them through Skype. Playing through your PC is great, but Lucky 247 also offers a nice mobile gambling experience. In the Lucky 247 mobile review, we have found that the site does offer gaming on a great selection of devices and play should be available for most mobile device users. Lucky 247 has developed their mobile casino to work with many of the most popular phones and tablets. It has an HTML5 setup that will work for most devices, and players can place bets whether they use Apple, Android or the Windows Phone. For the most part, the experience is great across all devices. The games run smooth and the games look good on the screen. Currently, Lucky 247 does not offer an app for Australian players. They do have an iOS app, but it is only available for players in the UK. That said, the mobile casino works well on devices ranging from the iPad and iPhone to devices like the Google Nexus, Samsung Galaxy phone and the Windows Lumia phone. For the purposes of a Lucky247 online casino review, it would be a bit much to say that it is the best casino currently available for Australian slots players, but it is a good site that is worth checking out. It has some nice bonuses and promotions and it is one site that tries hard to make things simple for the gamer. If you are looking for slots, Lucky 247 does have a good selection. Some of the sites that offer the downloadable version will offer more, but this casino has popular titles and a good variety of games. 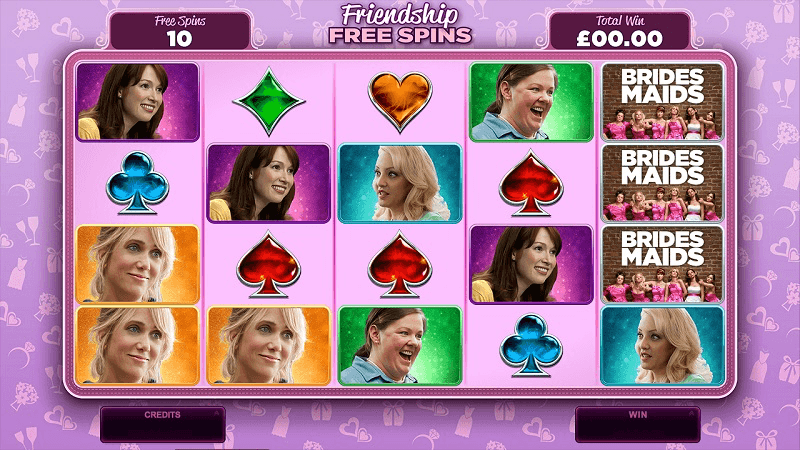 When you add in the mobile compatibility and the table games, it makes for a good level of versatility. If you are a player that likes the quick and simple action of browser play, then there are few sites that are going to beat Lucky 247. When compared to many of the other instant play casinos, this site offers more options and a more reliable gaming experience for playing through the browser. Lucky 247 is a casino for players that want their betting fast, easy and convenient. You could definitely find better looking and more versatile places to play slots, but this site keeps things simple and that can be a big draw for some players. Lucky 247 is the online casino you’ve been looking for, so start playing today! Join Lucky 247 Casino Now Play pokies at Lucky 247 Casino today!